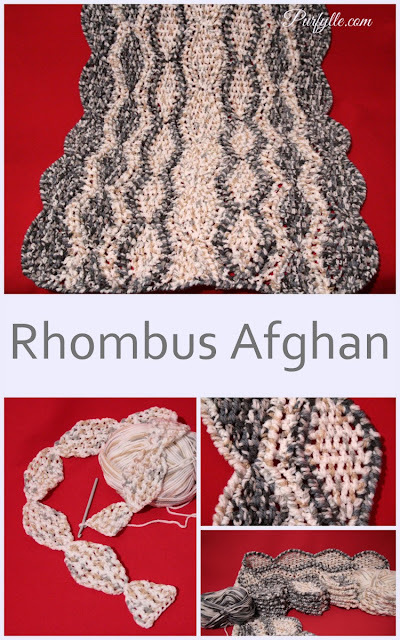 I'm so excited to be sharing my rhombus afghan crochet project with you. 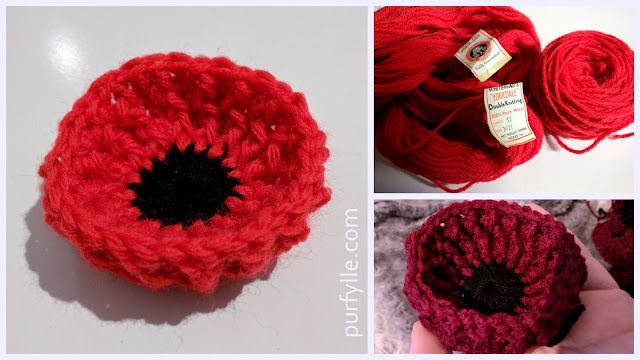 I really enjoyed making this crochet project, it worked up nice and fast providing that wonderful gratification a quick project gives you. I didn't keep track of the time I spent on it but I made it up over about a week. 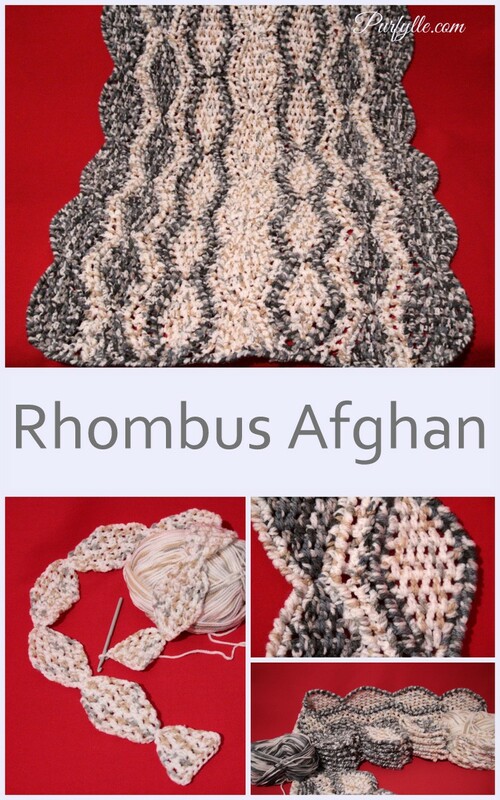 To begin I worked up a few rhombus rows in each colour. By beginning every other rhombus row in the middle rather then at the point the row nest together wonderfully. The colour scheme sort of developed as I went, edging some of the rows in contrasting colour and some in the same colours. Joining the rhombus rows was interesting, A third colour would have been nice but I only had my 2 colours to work with. It all worked out in the end. The edging and the joins give this wonderful three dimensional feel and a wonderful textural contrast that doesn't really come through in the photos the way it does in real life. Trying to get photos was a bit of a challenge with my little helper, Geri the Wonder Dog doing her bit. She was not impressed when I shooed her off. Wow - this is a really cool pattern! I just started crocheting earlier this year and I've been enjoying it. Thanks for visiting my blog earlier! 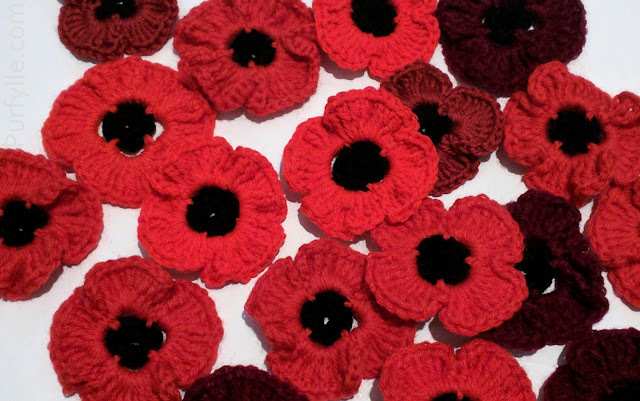 I find crochet gets more and more addictive the more I do it, I'm sure you will to. Love!! Thanks for sharing on My 2 Favorite Things on Thursday!! Hope to see you tomorrow! Pinned! I love doing blankets in strips instead of squares. 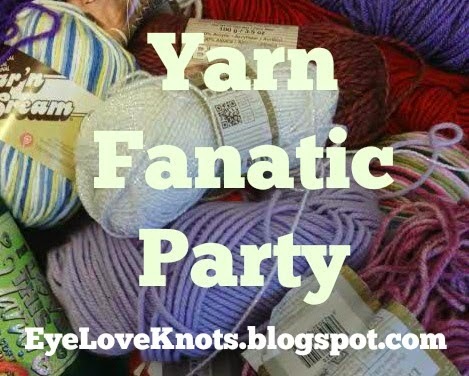 I bet this is a joy to crochet with all that texture. I just read your story about Geri. My mutt was weaned onto cow's milk at three weeks and suffers major separation anxiety, plus seizures. People do terrible things sometimes. I'm glad she found a good home with you, and gets to "help" you with your pictures. Stella, This is beautiful! Amazing that it is so quick to put together. Thank you so much for coming over and sharing with us this week at Brag About It! Pinned and tweeted to share. Have a great week!